LL Cool J is ready to knock somebody out! 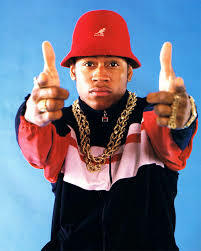 According to The Source, LL Cool J has filed a lawsuit against the "Rock The Bells" festival. LL says the event's founder and promoter attempted to trademark "Rock The Bells" in 2004, although his single came out in 1985. In 2017 LL was granted the trademark that he petitioned against to the Trademark Trial and Appeal Board. Now LL wants a judge to grant an injunction prohibiting the promoter and founder from using the name.